With heating systems, it is quite normal to lose efficiency since they are not being used for most of the year. Having a heating breakdown during the coldest day of the winter will make you consider hiring our heating experts for emergency heating repair services. We offer state of the art heating services throughout Southern California. 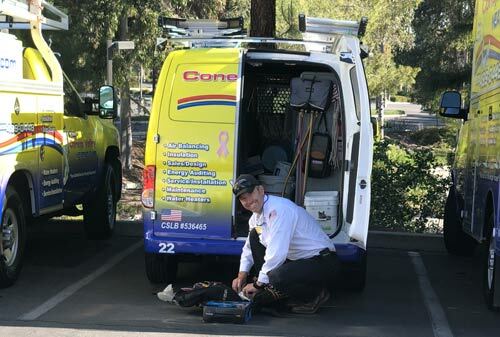 If you have heating or cooling emergency, trust Conejo Valley Heating & Air Conditioning, Inc. that will arrive at your home or workplace on time with the right tools for the job. Call (805) 499-0448 today to begin your expert AC repair, installation, or replacement. Heating systems follow no time schedule to stop functioning properly. Just like any other emergency, problems in heating systems can occur at any time. This is the reason why you need to find a HVAC contractor that can provide you with round the clock emergency heating services. We, Conejo Valley Air, offer fast, honest, and reliable 24-hour emergency services nearest to your location with a 100% customer satisfaction guarantee. All our services are provided by highly trained and experienced technicians. They know what it takes to provide instant and effective heating services. We specialize in repair services of all makes and models for heating systems, furnaces, ductless mini splits, heat pumps and more. 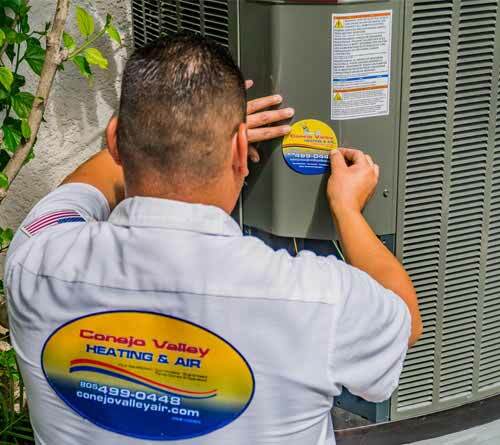 Not only do we offer heating services, but you can acquire our 24-hour AC repair, water heater repair, boiler repair, thermostat or emergency heat pump repair services in all the Conejo Valley and the surrounding areas. Flexibility – This service is tailor-made according to your needs. No matter what the problem is, our team will reach your doorstep to offer you the ideal solution. Affordable – Just because we are offering our services 24/7, does not mean that we charge extra. This service is very economical and market competitive. Efficient Results – Our trained heating systems experts make sure that they complete the job within the prescribed time. You can always trust us to do a great job in a short span of time. Schedule your Heater or Furnace Repair Services appointment online today! We will be there to help you 24/7. Problems in heating systems can be because of broken or damaged furnaces. If your heating system is not performing at full capacity, you should get it checked by our HVAC experts. We also offer emergency furnace repair services to our customers at the most economical price. In order to check for any damage to the furnace, you should make sure that the filters are regularly changed and the furnace is cleaned thoroughly. However, if you regularly change the filters and clean the furnace, you should hire a professional service to check the furnace for any other problems. Our team is expert in detecting any error or damage in the furnace. Even a minor damage to the furnace can decrease the efficiency of the heating system as a whole. It will increase the energy expenses of your home or office. In order to keep the costs under control and maintain the temperature of any given space, you should contact us for emergency heating and furnace repair services. Besides this, there are other services as well, which you can choose according to your requirement like water heater repair, heat pump repair, maintenance & heating installation services. Schedule your Heating System Services appointment online today! Winters are not fun without warm water. This is where your water heater comes to the rescue. You may not consider warm water as a blessing in winter season until you wake up and find out the water heater is not working. If the water heater is broken down, you should contact us for emergency water heater repair service. Our team is equipped with the latest equipment and tools using which they easily detect the fault and solve your problem efficiently. There are many problems occurred with your heater like clogged pipes and elements, congested tank with lime, scale and rust. 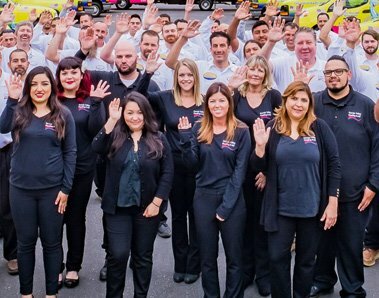 To reduce the risk of scalding and to avoid the risk of running out of hot water, Trust Conejo Valley Heating and Air Conditioning, one of the most reputed plumbing company that ensure you get full access to warm water without any delay to enjoy this beautiful season. Contact us to get our high-quality heating repair service at very much affordable price. 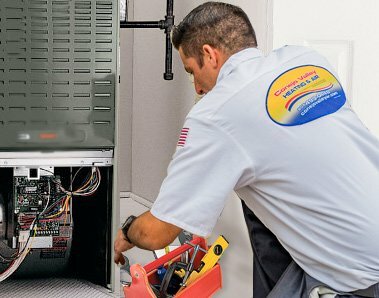 We are the reputed state licensed HVAC Contractor with more than 30 years of experience in this field servicing in Ventura County, Santa Barbara County, Los Angeles County, Simi Valley and surrounding areas. We provide highly trained technicians and skillful team who expertly diagnose and repair the issue, with minimal disruption to your space. 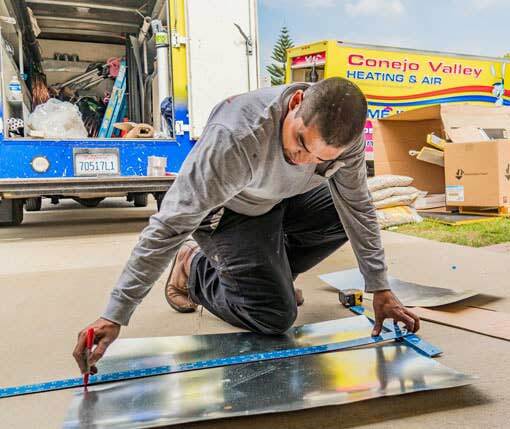 Conejo Valley Heating & Air conditioning Inc provides the best heating services at the most affordable prices. All our services can be acquired 24/7 with a commitment of the problem is solved instantly and your heating system is functioning at the best of its capacity. 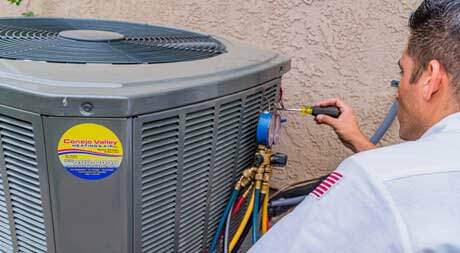 Heating & cooling systems need proper maintenance in order to function properly. Improper preventive maintenance is one of the main reasons to call for emergency services. It will allow you to get all your appliances, especially heating systems checked for any errors. By hiring our professional heating maintenance services, you can ensure that your heating system is working according to the manufacturer’s guidelines. Your aging system needs a regular tune-up service that allows checking thermostat or any blocked pipes in your heating system which loses the ability to maintain room temperature. In order to maintain your heating system properly, you should make sure that you change the filters after every 3-6 months. You must have been using your heating system for a long time and you will know about the potential of it as well. If the heating system is not performing at full capacity, you should get it checked by a professional emergency HVAC repair service provider. Heating systems have specific pressure maintained in them. If you feel that the pressure has reduced or the fuse burns out, it can lead to a breakdown in the furnace. These are some signs that indicate your heating system needs some emergency repairs. If you observe any of these signs, you should contact us right away. Make sure that the coils are clean. Check if the ducts are dust-free and there is no build-up of debris. Ensure that HVAC filter are changed periodically. However, there can be cases when you have to hire the services of a professional company. Contact us now at (805) 499-0448, If you want to know more about our emergency heating repair and all other services or want to get a free quote. Conejo Valley Heating and Air Conditioning, Inc. team will answer all your queries and offer you the best solutions. I just wanted to say thank you again for a great job on the new heating and air conditioning system you installed a few months ago. With the recent heat wave I was able to see the true results of the new system and the air conditioning is fantastic!!!! Service people were friendly, professional, and knowledgeable. They arrived at the specified time and worked diligently to complete the job in a timely manner. I feel confident with the job that was done and highly recommend this company.